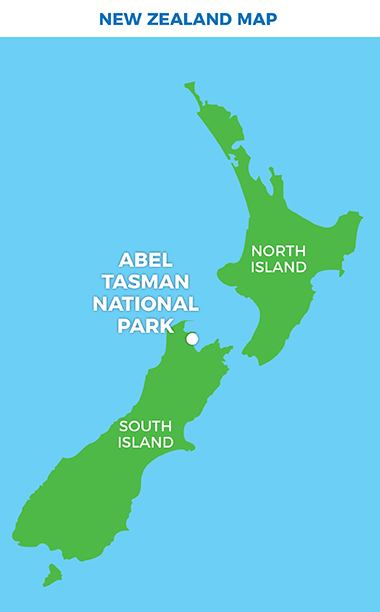 Cruise by water taxi along the length of the incredible Abel Tasman coastline. Then soak up the elevated views of the picture-perfect bays between Onetahuti and Bark Bay on your walk. Cruise info: Marahau to Onetahuti via Totaranui: 2 hr 15 min. Bark Bay to Marahau 1 hr. Catch a morning water taxi into the Park, walk a section of the Coastal Track enjoying the Abel Tasman’s incredible beaches before returning on an afternoon water taxi. Return water taxi and walking trip: Water taxi to Bark Bay or Onetahuti and then walk to Awaroa Bay (from Bark Bay 3hrs, Onetahuti 1hr). Return water taxi and walking trip: Water taxi to Bark Bay, walk the scenic Coastal Track to Anchorage (3.5hrs). Return water taxi and walking trip: Water taxi to Anchorage to walk the Pitt Head Loop Track (1.5hr) round trip. 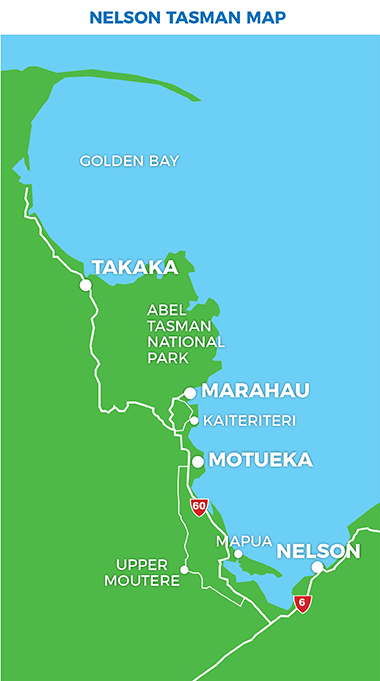 Return water taxi and walking trip: Travel the length of the park to Totaranui and back to Bark Bay for a 3.5hr walk to Anchorage. Return water taxi trip: Scenic round trip visiting all points of interest along the sparkling bays and golden beaches of the Park. Return water taxi and walking trip: Water taxi to Torrent Bay, walk the scenic Coastal Track to Onetahuti (4hrs).